In 2017 I attended the annual SPAH harmonica convention in Tulsa Oklahoma. A highlight for me was impromptu baroque duets with SPAH vice president Mike Runyan. He played chromatic harmonica, I played alto recorder. While the chromatic harmonica is a 20th century invention, for 20th century music, our duets from 300 years earlier worked well. After the SPAH convention I compiled this baroque duet collection, so that other chromatic harmonica players might also try this music. The early 18th century was a golden age for amateur music. The recorder and its developing cousin the baroque flute were popular instruments, creating a lively market for music publishers such as Walsh and Hare in London and Boismortier in Paris. While Bach, Handel and Vivaldi wrote mostly for large professional ensembles, composers such as Finger, Boismortier, Loeillet, Quantz and Telemann, the greatest of all, published extensively for amateur players. Telemann and Boismortier in particularly grew wealthy from these endeavours. An 18th century music publication, known as an “Opus”, usually comprised six sonatas, sometimes twelve. These sonatas generally had 4 movements, alternating from slow to fast, with tempos and moods indicated by the movement title, e.g. “Allegro” (fast), “Vivace” (lively), “Adagio” (slow). The music in this collection was mostly written for either baroque flute or recorder. The composers understood these instruments well, and wrote music to fit them. Some pieces will adapt nicely to chromatic harmonica. Others, particularly those by Quantz and Telemann may prove difficult. Moreover baroque ornamentation, a natural fit with recorder and baroque flute fingerings, will present challenges for chromatic harmonicas. The music in this collection mostly comprises complete Opuses from the respective composers. All the music has been sourced online from the Petrucci music library, at imslp.org. The corresponding editors, listed below, have made these works freely available through Creative Commons licences. While this free music source makes this collection possible, and opens a vast music collection to allcomers, music from professional publishers is usually easier to read than the examples here. The pieces listed below are arranged in order of increasing difficulty. The easiest by Boismortier come first, the most challenging and undoubtedly the best, by Telemann, are last. Paris based Boismortier was awarded a Royal License to print music in 1724. It became a license to print money, by 1747 he had produced over 100 opuses. His music is finely crafted, delightful to play, and a prime example of French late baroque style. He was very popular in his lifetime and remains so today, particularly amongst recorder and flute players. There are many other Boismortier duets similar to the ones here. Duets in this French style were also by published by Hotteterre, Naudot, Corrette, Danican Philidor, Monteclair and Blavet. Finger was born in Moravia and moved to London at the end of the 17th century. Unfortunately he published just a single duet Opus, which remains popular with recorder players. Duets in a similar style were written by Mattheson and Croft. Loeillet published four Opuses, each with 12 recorder sonatas. While not overly demanding, they are well crafted and great fun to play. These 6 duets were arranged by Loeillet from his sonatas. Quantz is generally considered the leading 18th century flute player. He was teacher to Frederic the Great and the only individual allowed to criticise the King’s playing. His book “On Playing the Flute” was the definitive 18th century baroque performance manual. While highly active as a composer, he published just one duet Opus, comprising 6 pieces, three are included here. This music requires advanced reading skills, also an understanding of baroque performance style. 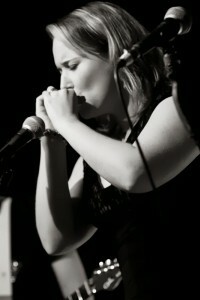 Chromatic harmonica players are usually more familiar with 20th century music, e.g. jazz standards, where different reading skills are needed. This 18th century music will be a learning curve for most, best started with the easier Boismortier pieces, which come first. My experience with this music is through recorder, not harmonica (I’m a diatonic player). My chief mentor has been baroque flute player and soprano Amanda Muir, who trained at the Royal Academy of Music in London. We’ve performed together for more than 20 years with our band “Balmain Baroque”, over this time I’ve come to know and love this music. I’ve also played some of these pieces with the chromatic players pictured in this introduction, namely Evelyn Choon, Aiden Soon and Jyne Lim from the Fresco Harmonica Ensemble in Malaysia, Rocky Lok from Hong Kong, Chu-Ti Chuang, I-Chen Lu and Chih-Hui Yang from the Judy Harmonica Ensemble in Taiwan, and Susan Sauter from Germany, a former World Chromatic Harmonica champion. 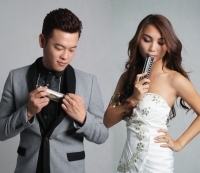 Baroque music definitely works with chromatic harmonica. Some chromatic players may have like minded peers, and can try these duets with twin harmonicas. However it is generally easier to find flute or violin players, who would be good partners for chromatic players entering this 18th century world. Flute players in particular will be familiar with these pieces. The modern recorder, which is largely unchanged from its 18th century counterpart, blends especially well with chromatic harmonica, as both instruments have similar volumes. Hence an experienced recorder player will be a great duet companion for these pieces. For those who cannot find duet partners, an alternate solution is available online at Duetsforone.com. The site has good quality audio recordings of the second part for many of the duets in this collection, done by English recorder player (and instrument maker) Owen Morse-Brown. They are designed as learning tools, are reasonably priced, and include slower versions of the fast movements. 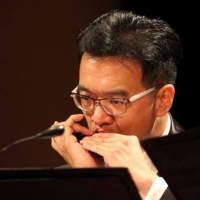 It is my hope that chromatic harmonica players will engage with this music, and bring it into the repertoire. The pieces here were widely tested in the 18th century and found to be great. They remain so today. Please share them with your peers. 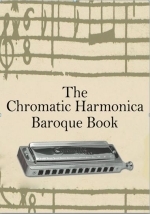 Baroque Duet ebook for Chromatic Harmonica players.